In SCD, the red blood cells become hard and sticky and look like a C-shaped farm tool called a “sickle.” People with SCD can live full lives and enjoy most of the activities that other people do. If you have SCD, it’s important to learn how to stay as health as possible. 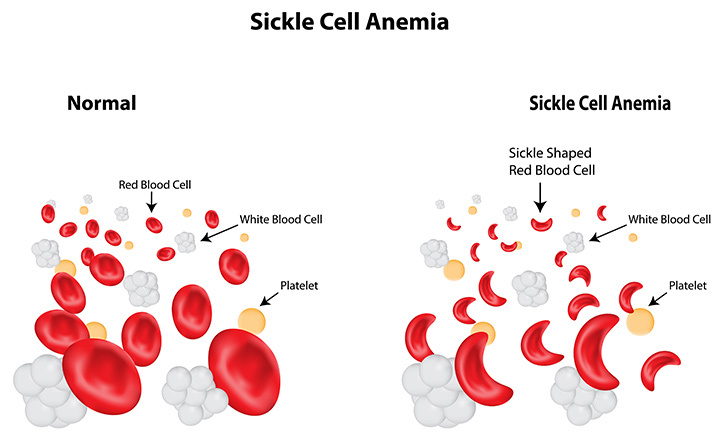 People who have this form of SCD inherit one sickle cell gene (“S”) from one parent and one gene for beta thalassemia, another type of anemia, from the other parent. There are two types of beta thalassemia: “0” and “+”. Those with HbS beta 0-thalassemia usually have a severe form of SCD. People with HbS beta + thalassemia tend to have a milder form of SCD. SCD is diagnosed with a simple blood test. It most often is found at birth during routine newborn screening tests at the hospital. In addition, SCD can be diagnosed before birth. Because children with SCD are at an increased risk of infection and other health problems, early diagnosis and treatment are important. You can call your local sickle cell organization to find out how to get tested.